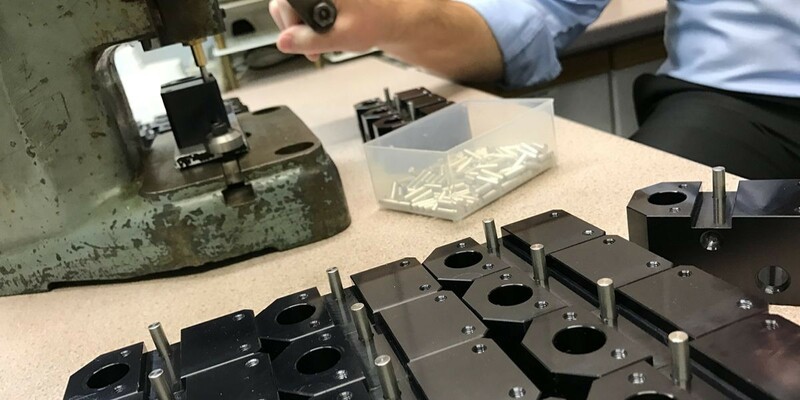 As part of our complete service, APT will assemble multiple manufactured components, delivering a high quality finished product straight to you. Manufacturing considerations and the cost effectiveness of assembly are built-in to the production at the early design stage. At APT, we have a dedicated area that enables us to assemble the final product in a clean and controlled environment. Our expert engineers will machine, finish, assemble, test and check your components. By ordering one complete part, this saves on purchasing costs, in-house labour and reduces your turnaround times. With our extensive experience, we can advise on raw materials, the production process and suitable finishes for the finished parts. APT’s attention to detail and our understanding of our clients’ needs are just a few of the reasons that we are trusted suppliers to sectors such as Oil & Gas, Medical, Aerospace and Security as well as many other high-spec industries. Each finished piece is rigorously inspected before it leaves us. Our practice of full traceability under our AS9100 and ISO 9001 accreditations gives our customers peace of mind in the quality of our assembled parts.